Patients with cirrhosis are at high risk of developing serious infections. Bacterial infections remain the most common cause of morbidity and mortality in these patients. 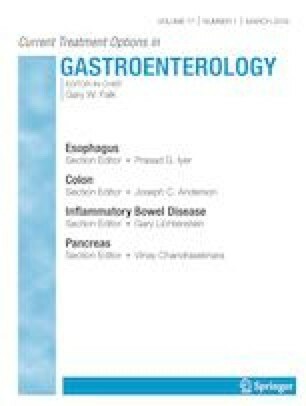 This review is focused on the prevalence of infections in those with cirrhosis, including multidrug-resistant (MDR) pathogens, pathogenesis of infection-related acute-on-chronic liver failure (ACLF), current treatment recommendations, and prophylactic strategies in patients with cirrhosis. Recent epidemiological studies have noted an emerging prevalence of MDR bacterial infections and associated with poor prognosis, and a high rate of treatment failure and mortality. Therefore, new recommendations on empirical antibiotic use based on epidemiological data have been developed in order to improve outcomes. Spontaneous bacterial peritonitis (SBP) and urinary tract infection (UTI) are the most frequent infections followed by pneumonia, cellulitis, and bacteremia, while pneumonia carries the highest risk of mortality. The incidence of MDR bacterial infections has been increasing, especially in healthcare-associated settings. Second infections that develop during hospitalization, multiple organ failures, and high MELD score are associated with poor survival. Preventive measures, early diagnosis, and adequate treatment of infections are essential key concepts in minimizing morbidity and mortality in patients with cirrhosis. Sirina Ekpanyapong, MD, declares that she has no conflict of interest. K. Rajender Reddy, MD, declares that he has no conflict of interest for this work. • Reddy KR, O’Leary JG, Kamath PS, Fallon MB, Biggins SW, Wong F, et al. High risk of delisting or death in liver transplant candidates following infections: results from the North American Consortium for the Study of End-Stage Liver Disease. Liver Transpl. 2015;21(7):881–8. https://doi.org/10.1002/lt.24139 The study using NACSELD database on prognosis of liver transplant candidates following infections .